First of all, I am not an expert on coloring. I have been coloring for at least 15 years but I am not into the whole blending, shading, and watercolor part of it. 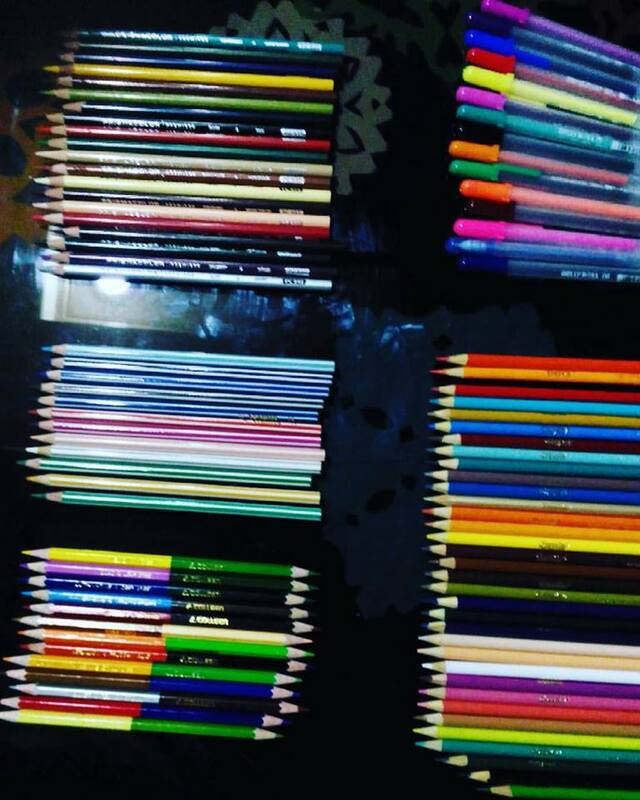 I simply color. Since the explosion of adult coloring books, the rise of different coloring pencils and brushes have been on the rise as well. I've tried a few and I would like to share my thoughts on each. If it helps one other person make the right choice in getting the coloring pencils for them, then this post would be worth it already. The Jelly Roll is very distinct and bright. Be careful in handling though coz it needs time to dry. A lot of the ink comes out when pressed so just be sure you do not use this for tiny details. Yes, Secret Garden and Jelly Roll won't be a good fit. Crayola on the other hand glides smoothly but on a closer look, it resembles the elementary crayons that you would use. If you want a more refined look, this won't be the pencil for you. However, I like that its really affordable so if you're just into coloring and not aiming for masterpiece, this would be a good one to get. It even has 100 colors. Eeekkk! Honestly, I didn't expect this to be really good but for me, this is one of the best coloring pencils that I have ever used. I like the effect of the colors, the contrast when you use the dark ones against the light (the other brands doesn't contrast like this) and the finish. There was nothing I didn't like about this and I'm not even crazy about this brand. However, after one use, I can say that I want the anniversary set and I will close projects left and right to get it. It is awesome. 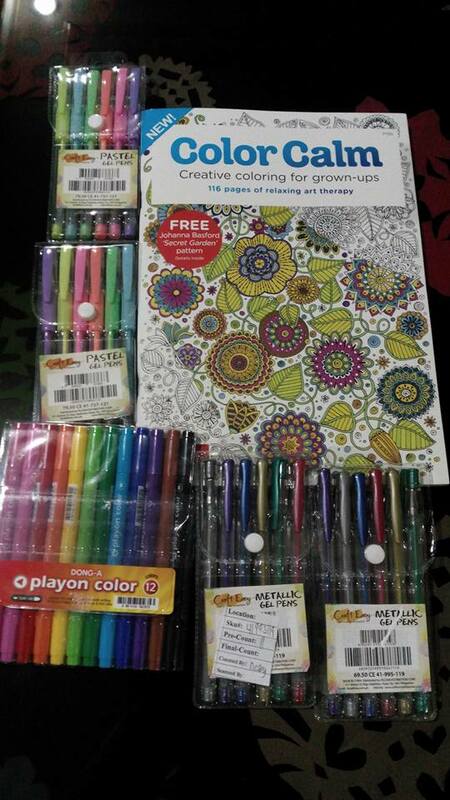 Pricewise, the basic coloring set was pretty cheap at Php500+ for 48pcs. I have wanted to color this page eversince the first time I saw it and I knew that the finerliners would be the ones I would use because of the tiny details on this image. Even with the finerliners, I made mistakes and I had areas where the lines overlapped. It was a little frustrating and it bled through the page in some areas. For the areas where I had to swipe a lot, a little of the paper came off. Thankfully it didn't tear fully. I would have cried. This was a gift from FM's daughter and I can say that this one is another favorite of mine. The gel is just awesome but if you are using the glitter version, I would suggest getting a plain piece of paper to cover the area you just colored unless you want to walk away with glitters on your arm and the possibility of smudging the other areas of your sheet. Probably because I didn't use it as a watercolor, the colors here came off a little bland. I just don't know how to use watercoloring pencils so pardon the results. Right now, I can't really give it a verdict coz my usage was not correct. The pastel effect is simply amazing. I loved it. I didn't like the flaky residue when I press too hard but the color effect, I loved! 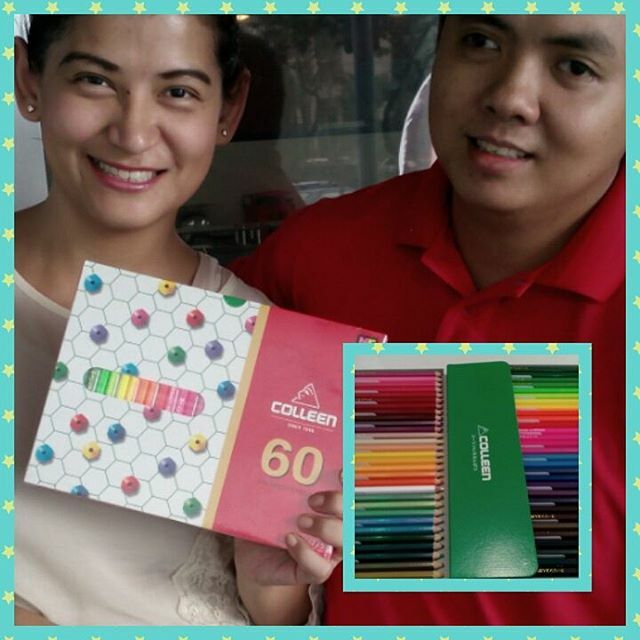 This is the Colleen 60s and though I have yet to try the other colors, so far this places 4th on my list of coloring pencils perhaps because it is also quite afforadable at Php530 for 60pcs. 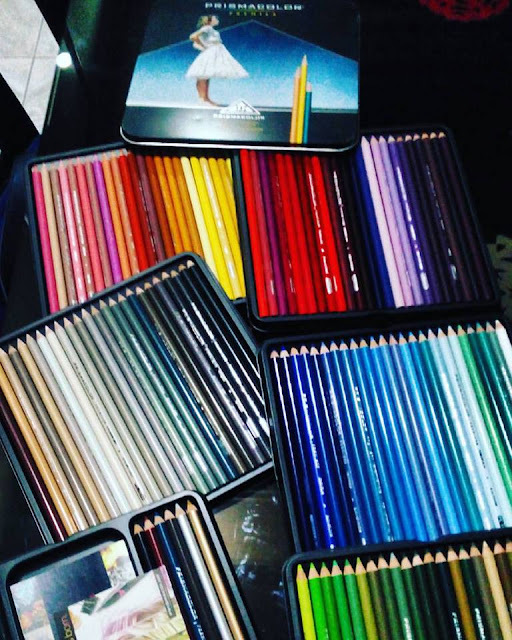 Finally, the Prismacolor Premier Pencils. I used the yellow to orange shade for this and the picture didn't do it justice. It was okay to use and I love all the shades. I actually spent 20 minutes just touching the 132 Prismacolor Pencisl that were sent over to me because they just look so gorgeous. It is a bit expensive though so if you will be buying this, make sure you are into coloring for the long haul. 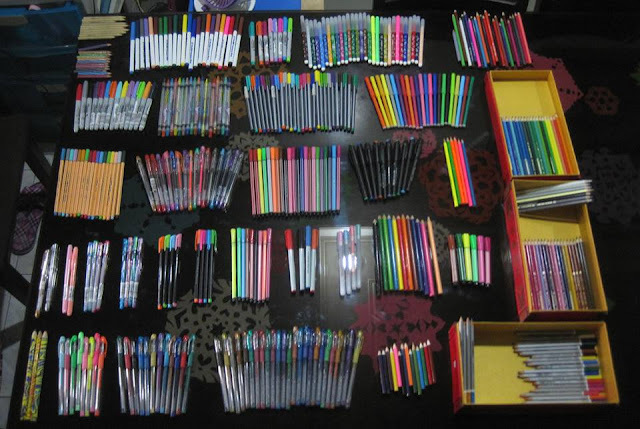 So there goes my coloring pencil review and below are my coloring pencil collection. Yes, I am an addict. What can I say? Coloring pencils make me very happy. Fans of Apple products need not fret any longer. Finally, the Apple Watch is available in the Philippines and Power Mac is its exclusive distributor. 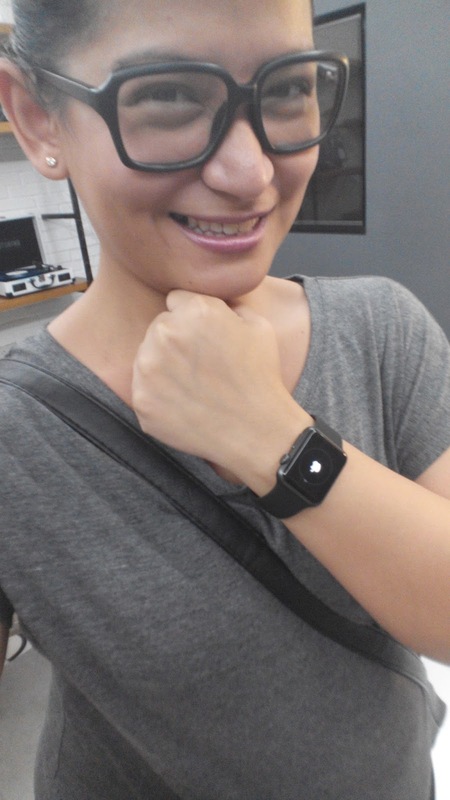 Last week, we were invited to have a look see and feel of these Apple watch and I gotta say, dang it felt good to wear one. The straps were very smooth and feels like second skin. It was also very light and not heavy on the arms. I liked how it is coz I'm not really a watch fan but with this one, I wouldn't mind having to wear it daily because it won't feel like such a hassle. It also connects to an iPhone if you have one which makes reading messages and answering calls so much easier especially on the road. Apple Watch is the tech giant’s first foray into wearable technology. Apart from being an incredibly accurate timepiece and a groundbreaking health and fitness companion, Apple Watch was designed to provide more intimate and immediate ways of connecting. Important information and essential features are now just a raise of the wrist away. 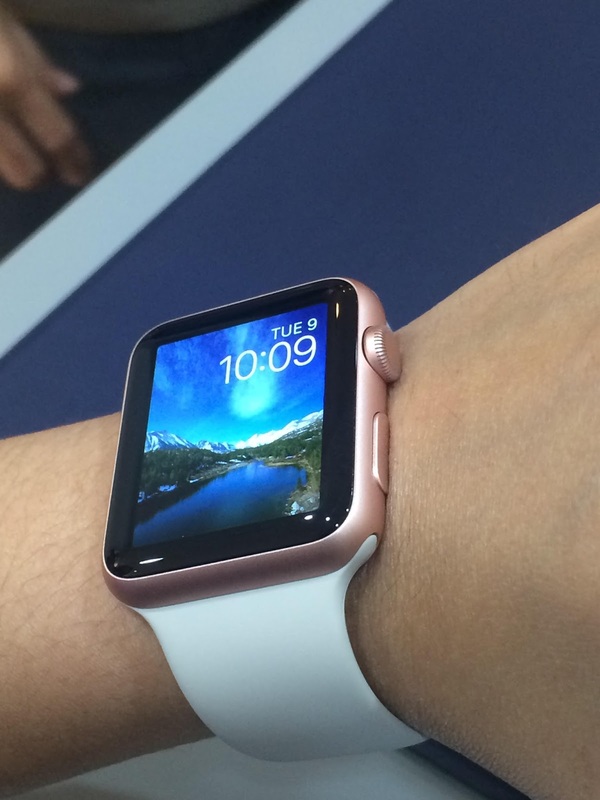 “Power Mac Center customers have long been clamoring for us to carry Apple Watch in our retail locations. Finally, they can get their hands on Apple’s most personal device yet,” said Princess Laosantos, Manager - Product Management Department of Power Mac Center. At its core, Apple Watch enables users to view key notifications like call, text, and email alerts, and respond anytime, anywhere. Users can ask assistance from Siri at the push of the Digital Crown, control music by voice, and pay even without credit card on-hand through Apple Pay. With Digital Touch, Apple Watch allows communication in all-new ways such as through a sketch, a tap, or even the rhythm of the user’s own heartbeat. In the same way that choosing what to wear is very personal, Apple encourages users to inject their personality into their choice of Apple Watch. 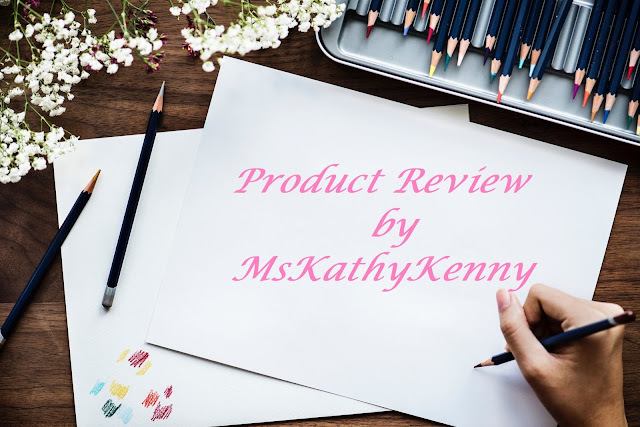 It comes in three models, the aluminum Apple Watch Sport, the stainless steel Apple Watch, and the solid gold Apple Watch Edition in two sizes, the 42-mm and 38-mm. The watch face can be customized in a lot of ways, ranging from traditional analog, to beautifully animated butterflies and jellyfish, to the information-rich modes. A full range of straps and bands in stainless steel, leather, and fluoroelastomer can also be easily interchanged. Apple Watch Edition, crafted from custom rose or yellow 18-karat gold alloys, is available exclusively at Power Mac Center Greenbelt 3. Those who want to try it on may arrange an appointment and be assisted by Apple Watch Experts deployed in-store. While Apple Watch supports most iOS apps, it is particularly proud of its integrated health and fitness apps. Apple believes that fitness isn’t limited to running, biking, and hitting the gym. Apple Watch tracks every physical activity and encourages further movement. It ultimately helps set and keep track of fitness goals. “Apple Watch is a reimagining of the watch as we know it. 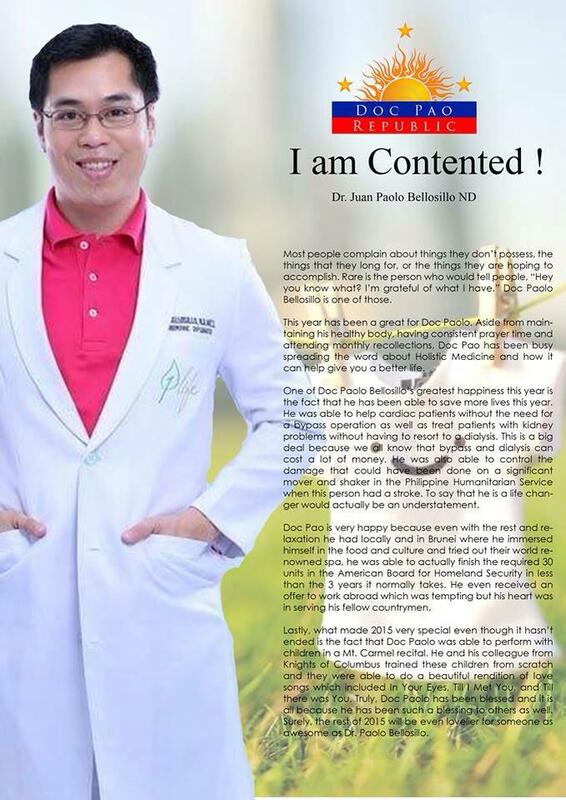 It’s a unique timepiece with innovative features perfect for any Filipino lifestyle - be it for fitness enthusiasts, working professionals, even fashion-savvy ones,” said Ivan Ambrosio, Assistant Brand Manager of Apple for Power Mac Center. 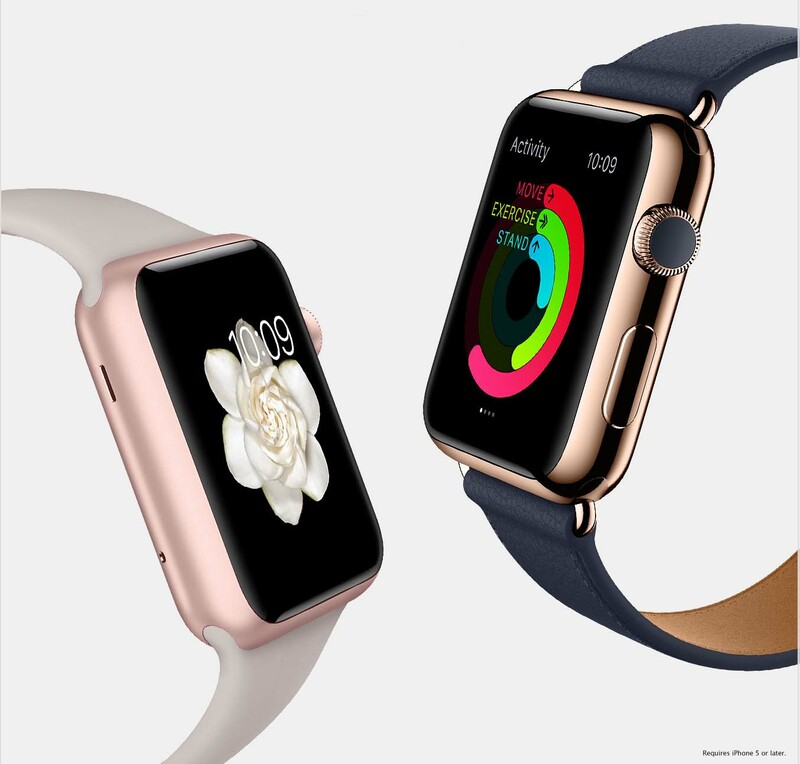 Patrons may avail of Apple Watch models from Power Mac Center Greenbelt 3 and TriNoma starting today, October 23, 2015. Price starts at ₱19,990.00 for Apple Watch Sport. For more information, go to http://www.powermaccenter.com or Like/Follow Power Mac Center on Facebook, Twitter, and Instagram. I remember back when I was in high school, my brother couldn't breathe properly. I didn't realize how bad it was even when he was wheezing. I even made fun of the sound. It was only when he was rushed to the hospital that I realized how bad his asthma was. I remembered thinking back then how hard it must be to not be able to breathe properly. 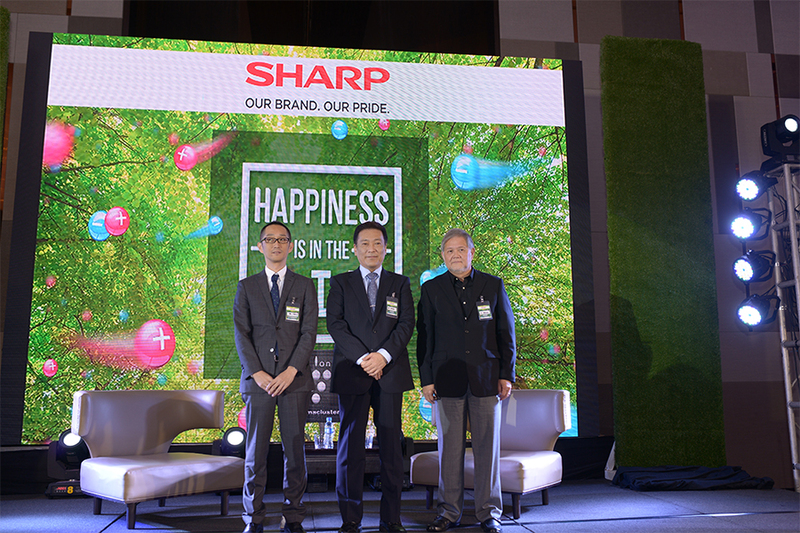 Recently, I was invited to the unveiling of some products from SHARP and I was so happy when I saw that it was all about having happiness in the air. Few people would understand why clean air matters but when you see a family or friend wheezing and not being able to enjoy life, you would then see the value of having clean air all around you. When you are a mother, then you would find yourself fighting with dust and mites simply because you know it can be harmful to your child. For a home to be a true sanctuary, it should be more than just beautiful or relaxing. Literally a shelter from the outside world, it should promote one’s well-being, providing ideal conditions that eliminate threats to one’s health. 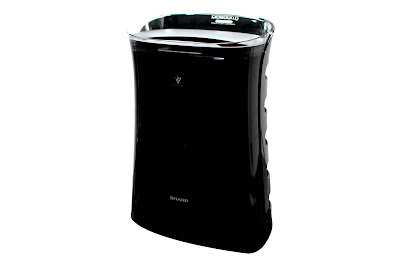 For the Filipino homeowner who values health and wants to reduce asthma attacks, Sharp recommends the Sharp Plasmacluster Air Purifier UV+ and the Sharp Plasmacluster Mite Catcher, two new additions to the Plasmacluster lineup. Dust mites -- microscopic insects with a lifespan of two to three months--are all over beds, pillows, carpets, and upholstery. 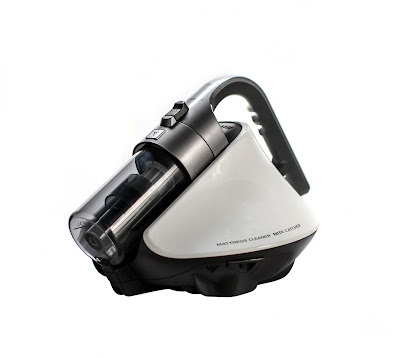 Vacuuming doesn’t remove them from fabric surfaces, where they live, eat, breed, and die. Their remains and excrement (from eating dead skin cells) are known allergens, which can cause itchiness, rashes, and respiratory symptoms in people with asthma and dust mite allergies. I grew up watching James Bond. My Dad was obsessed with him and he had a lot of the DVDs. I grew up fantasizing about being a Bond girl until I eventually realized that they all died and so I just thought I was okay with being his female sidekick so that I wouldn't die in the movie. Later on, I thought that it would be actually pretty good too if I play the antagonist. So when I heard that there was a new James Bond movie, I was pretty excited about it. Spectre by definition is a mental image of something unpleasant or menacing, A very appropriate name for the organization which the newest James Bond installment exploits – SPECTRE or “Special Executive for Terrorism, Revenge and Extortion”. SPECTRE, which stars Daniel Craig, Monica Bellucci, Lea Seydoux, Christoph Waltz, Ralph Fiennes, Ben Whishaw and Naomie Harris, is another adventure packed movie produced and distributed by Columbia Pictures. In this movie, 007 discovers a cryptic message from the past which leads him to Mexico City and Rome, where he meets the beautiful widow (Monica Bellucci) of an infamous criminal. After infiltrating a secret meeting, 007 uncovers the existence of the sinister organization SPECTRE. Needing the help of the daughter of an old nemesis, he embarks on a mission to find her. As Bond ventures toward the heart of SPECTRE, he discovers a chilling connection between himself and the enemy (Christoph Waltz) he seeks.dirty facts of SPECTRE while its leader Franz Oberhauser hunts him down to death. This James Bond movie is one of the longest amongst the series as it runs approximately 2.5 hours. It also has the oldest James Bond girl to date, Monica Bellucci, who is now 50 years old. This movie really is a must-see for every 007 fanatic. This year’s most awaited James Bond 007 movie is coming to cinemas this November, and PMCM Events Management and WhenInManila.com together with Resorts World Manila brings you this special movie blocked screening of SPECTRE on November 07, 2015 (Saturday) 5:00pm in Newport World Cinema 3. 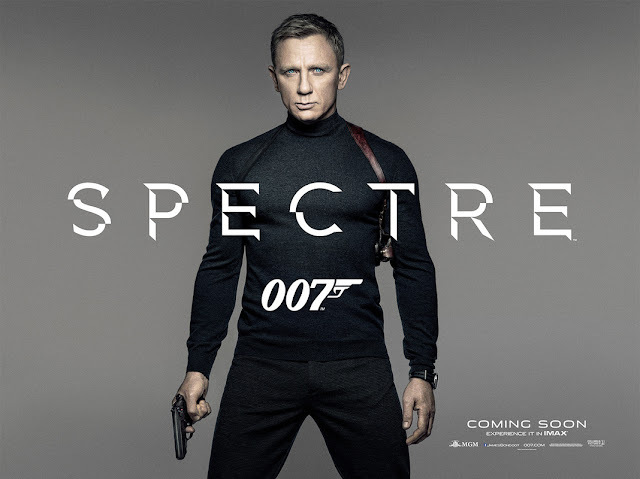 You can now reserve your tickets of SPECTRE Movie Block Screening at the Resorts World Manila, November 7, 2015, 5:00 pm, by calling PMCM Events at 5010029 or 09178344978. Don’t miss this opportunity of enjoying this movie with your friends and family. The first goodbye I remember was at school. My first boyfriend was telling me that he only courted me to make his first love jealous. I was nothing but a toy to him. He was just using me. I gave him my heart and he was just using me. It was at that moment that I learned what goodbye meant. Goodbye innocence. Now I knew what it was like to be used and played. Now I knew what it was like to have your heart broken and thrown away without a single thought. Now I knew what people were talking about when they would sing sad love songs, write heartbroken poetry, and talk about goodbye. The next goodbye I remember was the betrayal of a trusted friend. She was someone I would tell my secrets to, the fears that I had, my insecurities, and my achievements. I thought she was a friend; I didn't realize she held a knife on her hand whenever she hugged me and she had stabbed me several times. I just didn't know it but she was bleeding me dry. Goodbye faith. Now I knew that not every person who smiles and listens is a friend. Now I knew that not everyone who nods and agrees with you is someone you can trust. Now I knew what people meant when they would say be careful of the person who is always smiling at you for now one is always happy and in agreement with you. The hardest goodbye I remember was the goodbye to forever. I thought he was the one. We had a child, we had a home of our own, and we were building dreams together. I thought that his was the face that I would see when I wake in the morning and the last when I sleep at night. I thought that there was nothing in the world that would make me let go of forever. Goodbye forever. When forever humiliates you endlessly without thought or care, you need to let go. When forever has another forever, you need to rethink your commitment to forever. When you and forever has a difference in opinion as to whether or not you live, you learn that nothing lasts forever. I learned to say goodbye the moment I was about to take my last breath while he was choking me to death. I said goodbye to forever. The saddest goodbye is during the funeral of people that I love. I know that everyone will eventually die and I accept it. What I find hard to accept is the fact that I won't ever see their smiles again. I won't be able to talk to them and look them in the eye. I will never hear their voice. I will never feel their arms around me. I will never be with them again. Goodbye life. You are one fickle minded soul. You are kind yet cruel at the same time. You let us borrow people and then suddenly, mostly without warning, you take them away from us leaving us bereft and asking for one more. One more minute. One more kiss. One more hug. One more laughter. One more second. Just one more. However, there always is that one goodbye that changes you. The most painful goodbye I had to endure happened April 16, 2013. It was a goodbye I never saw coming. 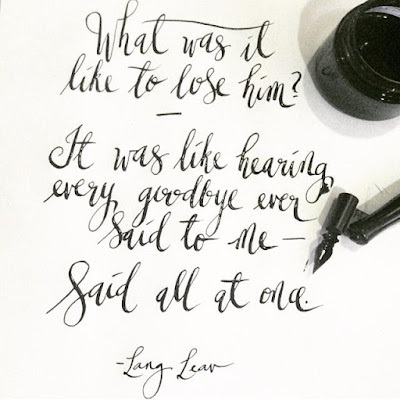 It was the goodbye that crushed my heart, soul, and being. It was the goodbye that broke my belief in myself, in love, and in life. It was the goodbye that felt like all goodbyes rolled into one. It was a goodbye to innocence regained. It was a goodbye to faith in love. It was a goodbye to forever once more which was harder because it was the second time around and because this forever was earned, I didn't know that what was earned the hard way would just be thrown away just like that. Finally, it was a goodbye to the life that I thought I would have when I regained the innocence I lost, got back the faith that was lost, and the forever that I met once more. Goodbyes ... always a hard thing to encounter but when they hit you all at once, goodbyes can be the most painful thing of them all. In the last two months or so, I have started hanging out more often inside my village. I find that there are enough interesting places here that I do not need to go out of the South during the weekends. 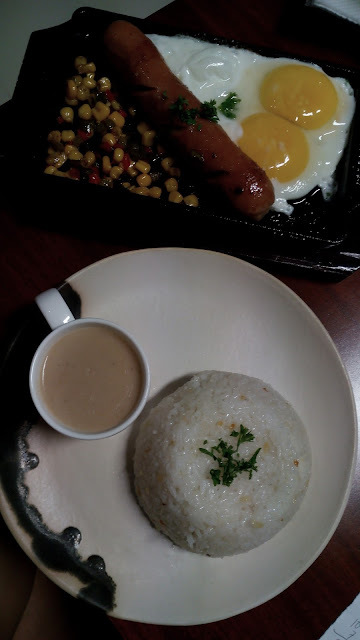 Since I have been browsing the different hang out places in here, I thought that it just seemed right that I share with you my favorite food spots inside BF Resort Village in Las Pinas. KEI offers Japanese food. They sell Ramen that I really love because its so huge but the price is dirt cheap compared to the price. The bowl is huge and it is filling. If you have a big appetite, which I do, it would still make you feel a bit like puking at the end if you finish it all by yourself. They also serve one mean seafood kani salad and sushi roll. If you only have Php100 and need a meal that will make you go BURP or want congee that will hit the spot, Telongs is the place to go to when inside BFRV in Las Pinas. 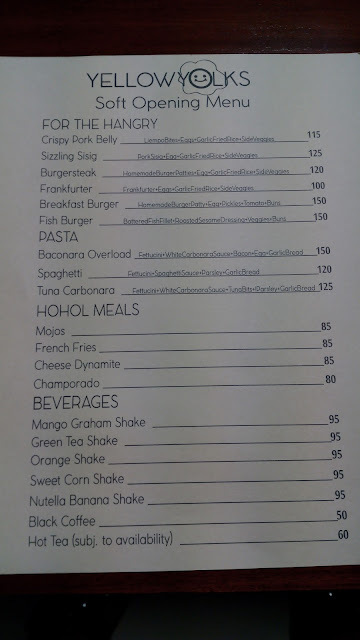 For less than Php50, you are good to go. Don't expect anything fancy though. This is more of a shorts, shirts, and flipflops kind of place. Laidback is the word you are looking for. For cat lovers, this place is heaven. Housing more than 12 cats, most of which are purebred, Le Cat Coffee Shop lets you pet the cats that are roaming around and play with them. I love going here because the cats are very docile and playful. 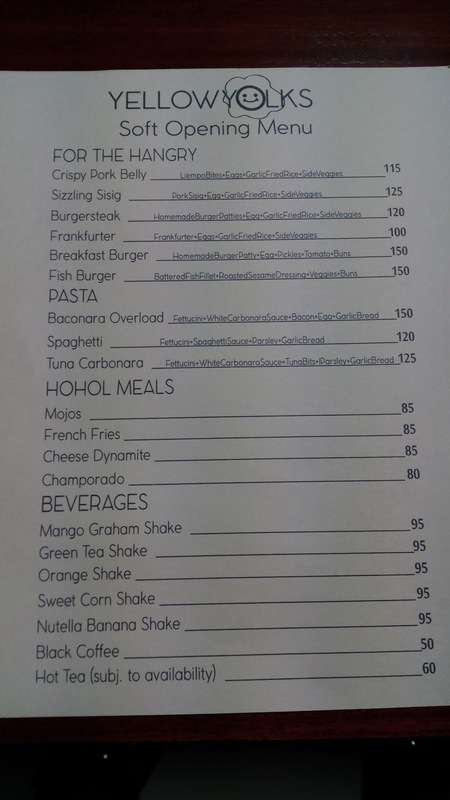 They also serve a good round of coffee and merienda food, one of which drives one of their cats insane. The cat literally pounds on the glass door going to the cafe. It is a sight to watch. This place is only a week old but I have been here twice already. I like the food, I like the board games, and I love the price because its very reasonable. If they will have WiFi, then they would be awesome. It has a breakfast feel but they open 5pm onwards. Whenever I just wanna relax and have a good conversation, this is the place I go to inside my village. It has art, good music, awesome people, great food, and a wonderful ambiance. The owners make you feel like you're part of the family. Every Friday and Saturday, they have acoustic nights where they also hold an open mic and you can sing your heart out with an acoustic band. They also happen to have the best braso de mercedes cupcake and one mean cup of Cafe Mocha for only Php130. Trust me, its worth every drop and you will definitely drown in their big coffee mug. If you ever find yourself in the South and in the Las Pinas area, drop by these places and give them a try. I can guarantee that you won't regret it. So a lot of people have been asking why I seem to have managed to lose weight and yet still indulge in eating. 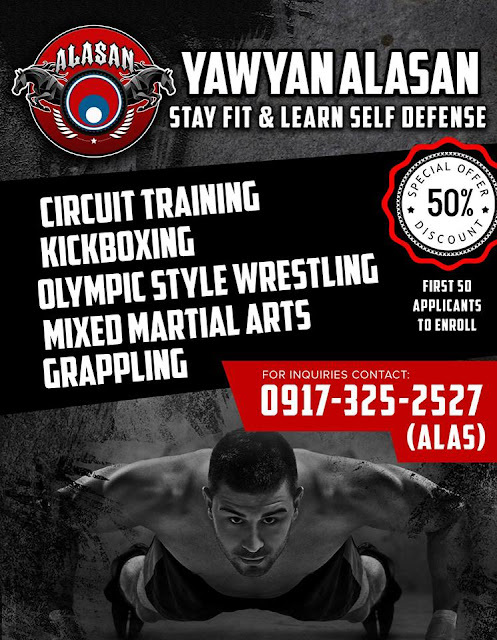 I always tell them its because of Yawyan but since I am not able to maintain going there 3-4x a week which is the recommended number of classes, I have not been able to fully maximize its potential. 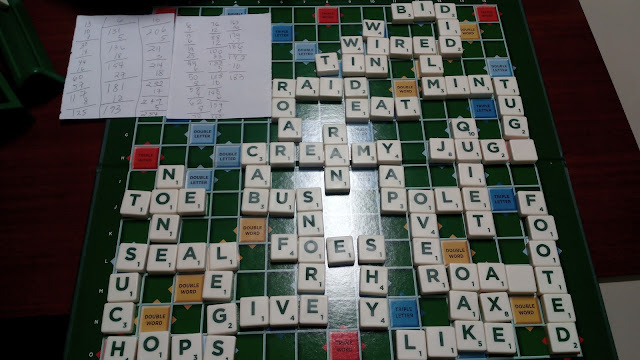 Thankfully, I have friends who have been able to and here are their photos. 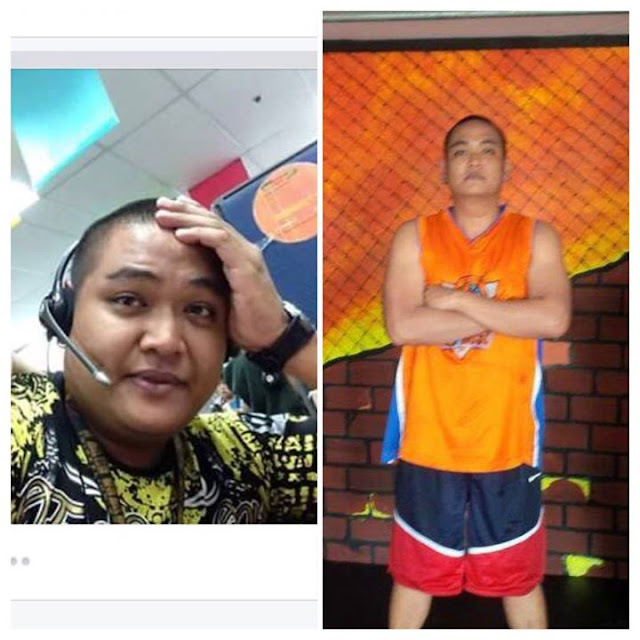 This is D. He has lost more than 30+ lbs in just 3 months. Of course this came with his dedication and change of lifestyle but he has said time and again that training in Yawyan F. Alasan has made a huge impact on his weight loss and lifestyle change. Next is RG. He used to be what we would call fluffy and now, he has abs. 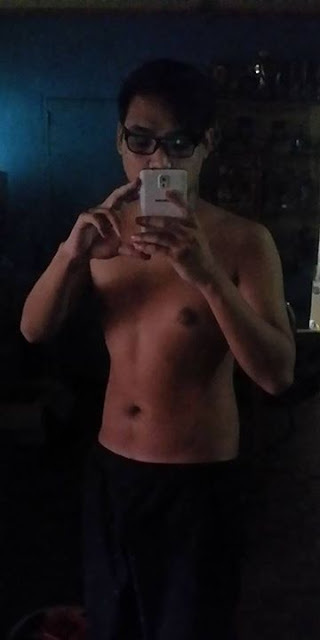 As you can see here, this is an unedited photo he took of himself and from having a dad bod, he now has a flat stomach. 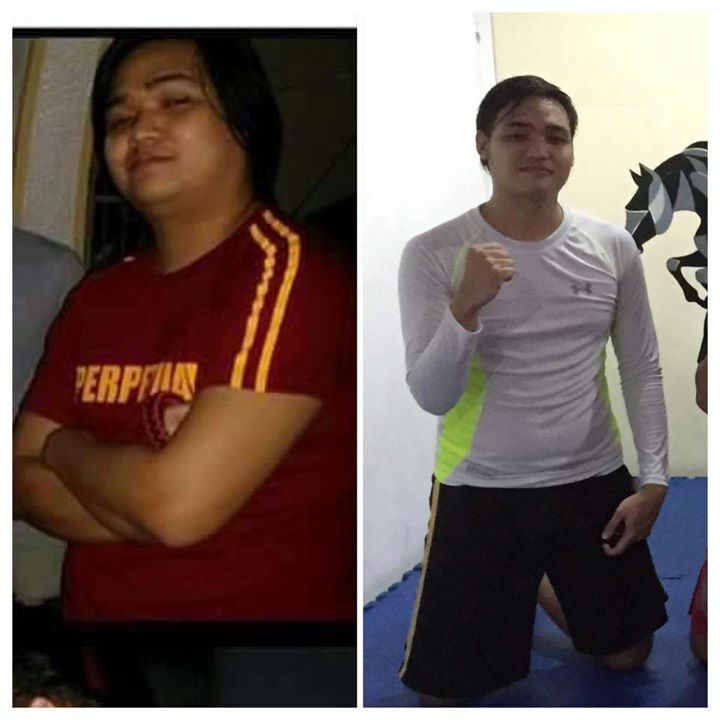 This took around 4-5 months of weekly training. TA-DA! 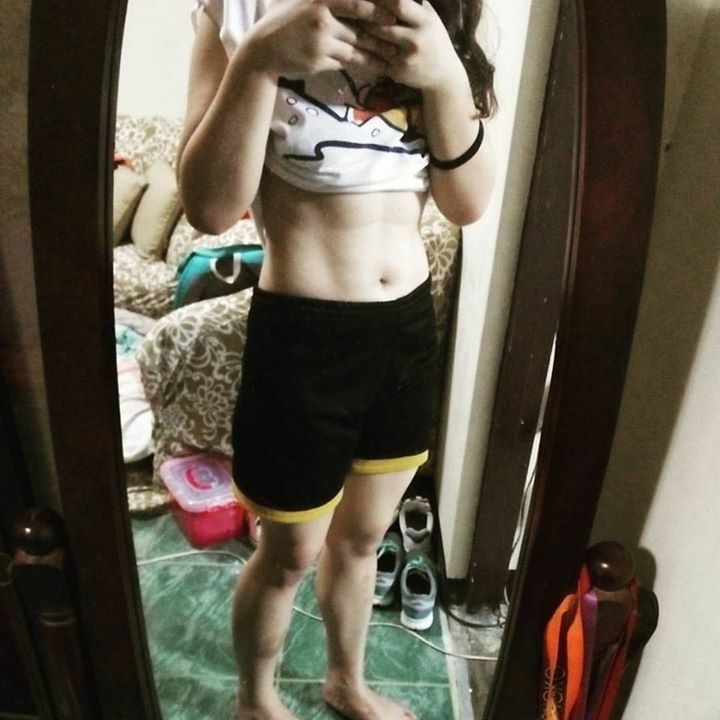 She is now one of the most inspired gals in camp and she has definitely lost the baby fats. 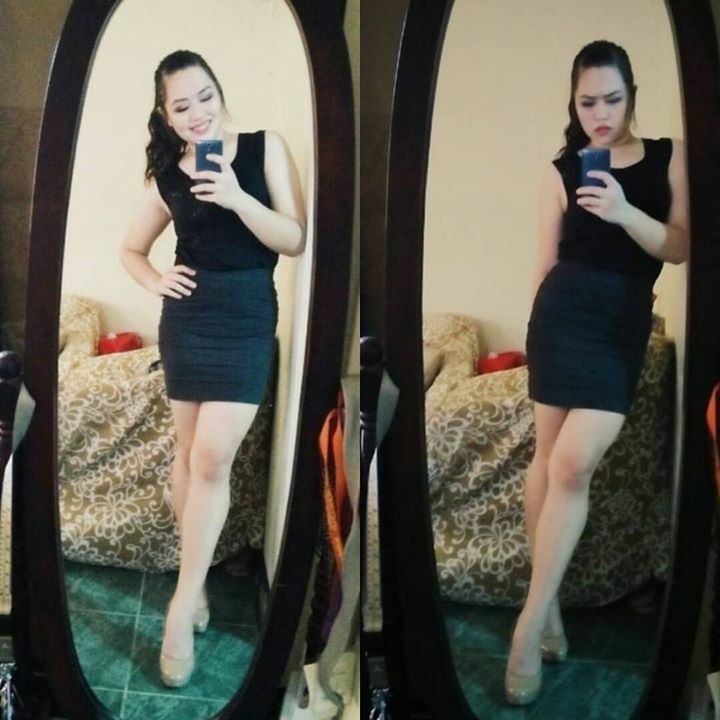 In fact, she has turned those fats into muscles and as you can see, she is SMOKIN' HOT. The trick here is not the number of hours spent in the Yawyan camp. It's about doing the training right, dedication, and a change of lifestyle. 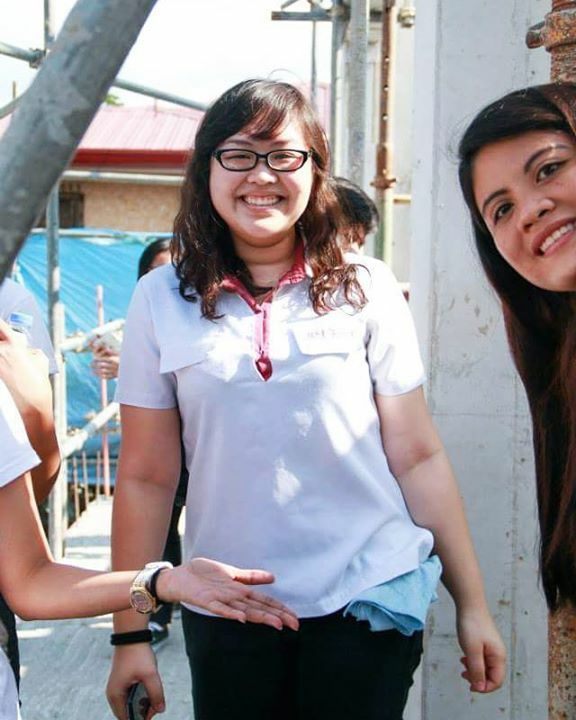 All three of them wanted to make a change for themselves and with the help of Yawyan F. Alasan, they were able to do so. Congratulations guys. All the hard work, muscle pain, and sweat were definitely worth it. For those who would like to know more, you may reach Yawyan F. Alasan for more details. This place has only been open for 4 days and yet I have been here twice. It wasn't me who initially saw it but my friend G. We were headed to Mystic Brew which will always be my all time favorite cafe inside my village but the yellow and blue chairs of Yellow Yolks made me say yes. After all, I have always liked colorful items. They are still on soft opening so there's still a lot of room for improvement when it comes to some things. However, I can definitely say that their food is overall pretty good. 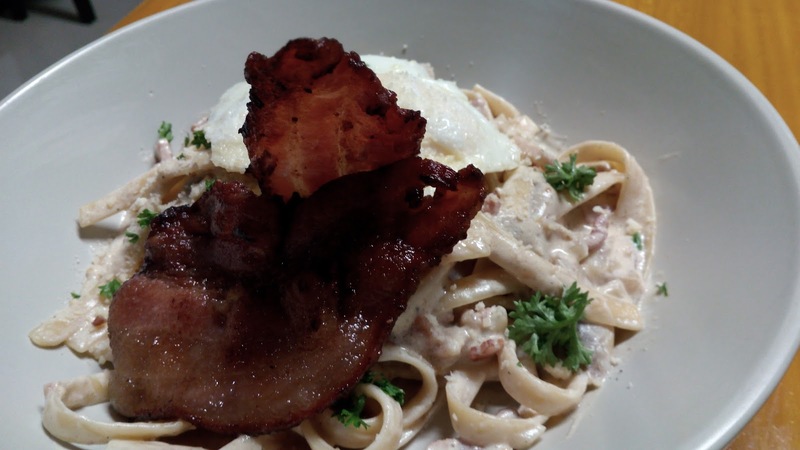 B loved the Baconara Pasta and the bacon was pretty impressive. It was cooked almost to a crisp and the serving was quite big especially for its price. The taste, I have to say would have been good because B actually forgot to offer me a bite and this normally happens when he's really enjoying the food. I had the Frankfurter and I was also blown away by the serving size and the taste. The eggs were cooked perfectly in my opinion and the frankfurter when dipped into the sauce was heaven. I really, really, really liked it. I've also tried their champorado during my first visit and it is by far the most chocolatey champorado that I have ever had in my entire life. You don't even need to put in any sugar because it's already sweet the way it is but not overly sweet that it's almost cloying. I was lucky enough to have been given free samples of the green tea shake and the sweet corn shake and both were pretty good though I prefer the green tea shake over the sweet corn. B tried the Banana Nutella and he finished it but then again, who wouldn't like Banana Nutella shake right? 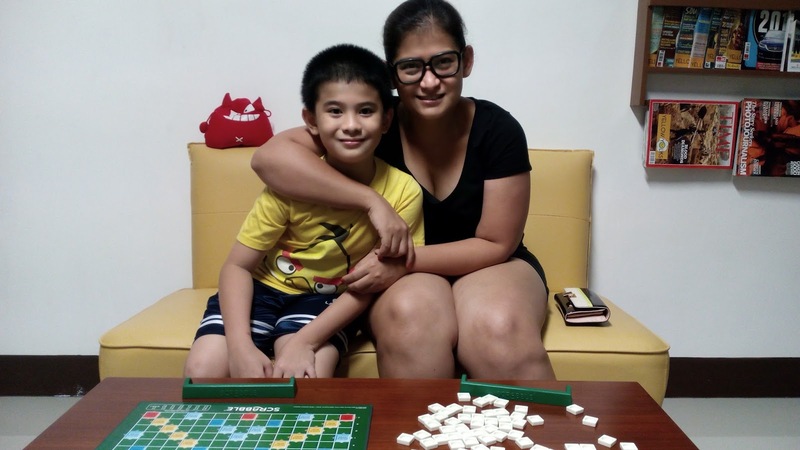 Another option that is available in Yellow Yolks are the board games that you can play for only 50php each person. 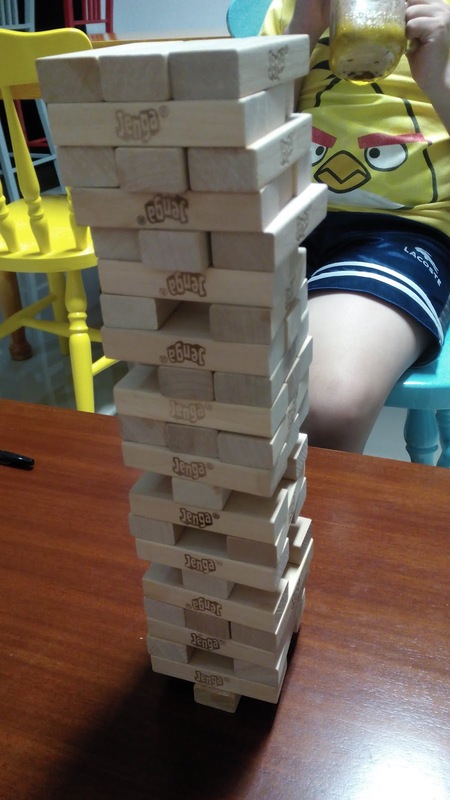 They have a couple of kid friendly games but most of what they have are aimed at the adults. I wish they have more kid friendly games though mainly because I have a son and it would be a good place for us to hang out in. Overall, I'm pretty happy with Yellow Yolks and I know that I will be coming back here over and over again. I have been coloring since I was a kid. 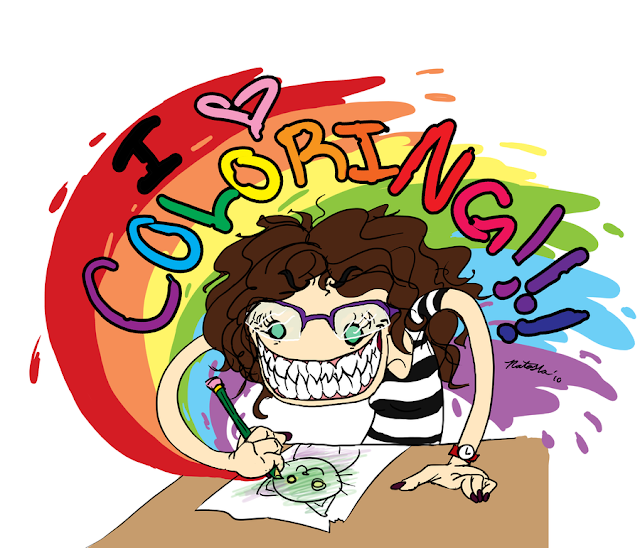 I went back to it when I was 19 because it turns out that I had insane mood swings and coloring helped stabilize it. However since coloring was really meant for children, I had to make do with the coloring books meant for kids which turned out to be bland when I was getting older. To my delight, the last few months has seen an increase in new releases of Adult Coloring Books. Yes, you read that right. They now have coloring book for adults and the signs are very intricate and detail oriented. This one also encourages people to be more colorful in what pencils they use and even blend, shade, and what not. My work is not that good. I feel horrible about it. I messed up the leaf. Oh woe is me. I hope my partner doesn't see my latest loot of pens and books. How come my photo doesn't gather as much likes as the rest? *insert photo of hundreds of pens* Oh I still need a lot. I only have a few. Seriously people? Coloring is supposed to be about relaxing, having fun, and bringing back the inner child in you. We don't want the insecure, stressed, and whiny competitive you ruining it for us. 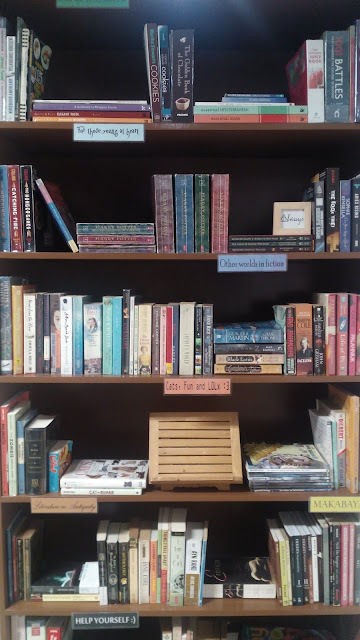 I feel that because there have been too many materials, books, and groups, people just managed to find a new way to dump their emotional baggage and insecurities on something that is supposed to be lovely, stress RELIEVING, and wonderful. Coloring is supposed to be magical. It is not about "I did better than you did" or "Oh you have more than I do" or even worse, a reason for partners to fight. 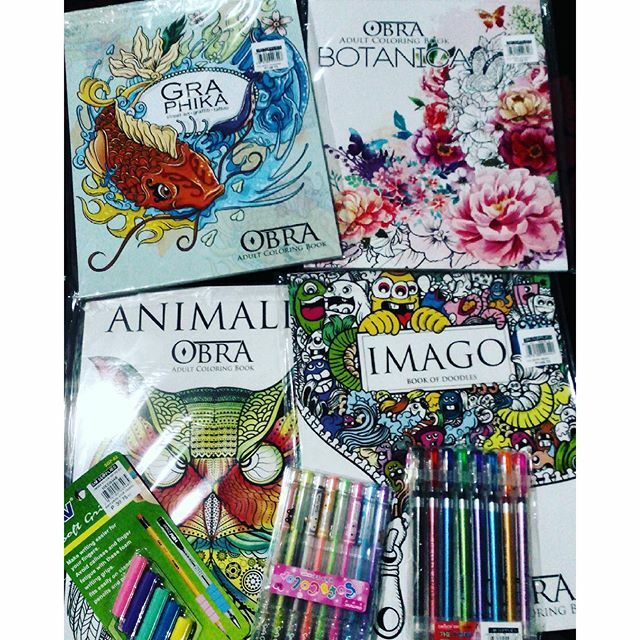 When you find yourself hiding things from your partner because of coloring, when you find yourself stressing because your work is not pretty enough or good enough, and when you find yourself stressing because you do not have this so and so set of pens, STOP COLORING. It's supposed to be relaxing so if it is not relaxing you, then perhaps you need to find another "hobby" or rather, "obsession." As for the rest of us, lets stay chill, calm, and keep coloring away.